Recommended Definitions of “Global Warming” And “Climate Change” | Climate Science: Roger Pielke Sr. 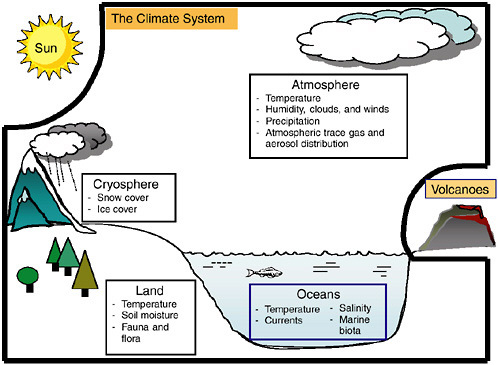 Global warming involves the accumulation of heat in Joules within these components of the climate system, which is predominently the oceans, as shown in Table 1 in Levitis et al 2001. The current use of the global average annual surface temperature trend to diagnose global warming involves only the two dimensional land, cryosphere and ocean surface.